Our #1 Stunna. 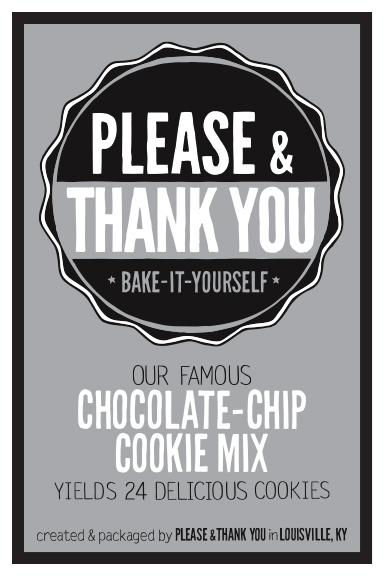 The infamous P&TY Chocolate Chip Cookie can be made in YOUR oven in less than 20 minutes using our BIY Dough (available in shop)... or you may opt for a box of the BIY Mix and spend a little time mixing & baking on your own. 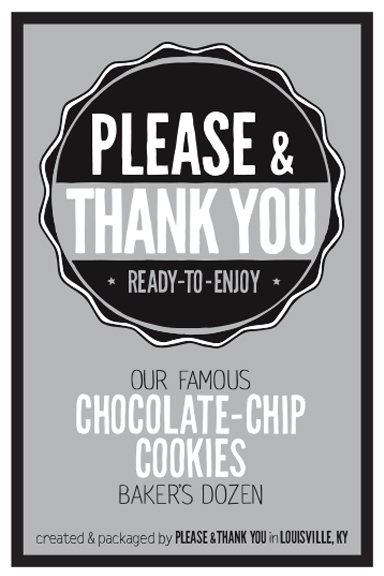 If both of those sound like too much work, just order up a Bakers Dozen box of cookies, ready-to-enjoy. 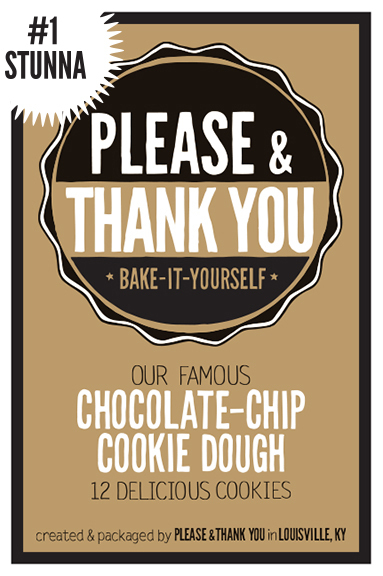 Click to purchase: Bakers Dozen of Cookies or the BIY Mix. The Weekender. A pantry staple. Keep it stocked on the shelf and make for a happy weekend. 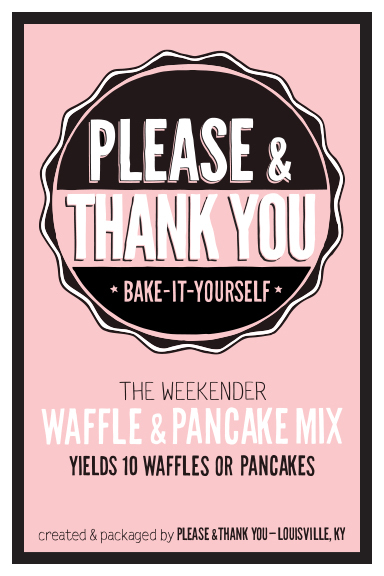 Guaranteed to remedy the following awkward life moments: what to make “the morning after,” slumber party breakfast, in-laws in-town over night, and the munchies. Kentucky's Favorite. 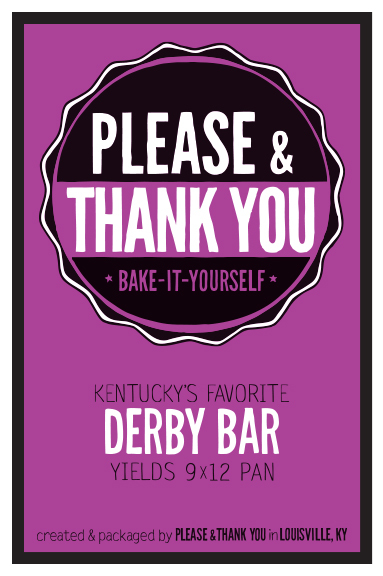 Because D*rby Pie is selfishly trademarked, we said “screw the crust” and made the most delicious blondie ever—our Derby Bar. If ydd butter and bourbon to our mix, you can bake your own and lick the bowl. You’re welcome. Our Favorite Brownies are meant for the home baker, appealing to those seeking a successful baking moment. Most likely you already have all you need in your pantry, and it’s easy to assemble and bake.